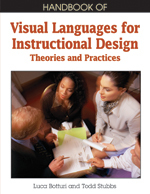 Globalizing the field of Instructional Design lies in the building and nurturing of innovative models, frameworks, visual languages, and practices that include culture based considerations. This chapter argues that culture, as a design construct, is integral to educating learners and enhancing the design process. This is supported by a review of theoretical and methodological studies that define culture and an examination of models of culture that are supported by VIDLs. Further, the significance of VIDLs as design tools is offered through the Culture Based Model (CBM) an intercultural instructional design framework that guides designers through the management, design, development and assessment process while taking into account explicit culture based considerations. The chapter provides a description of the origins of CBM, an overview of relevant research, and an outline of the model and its possible applications with VIDLs. This research suggests that VIDLs can serve a broader scope if culture is considered.